يقع في مركز مدينة كوينزتاون, Caples Court إنه المكان الأنسب لاكتشاف كوينز تاون و ما يحيطها. لا يبعد الفندق كثيراً عن مركز المدينة، فهو يقع على بعد 1 km منها. في حين يستغرق الطريق منها إلى المطار حوالي 10 دقيقة. يشكل هذا الفندق ملاذاَ مريحاً للاسترخاء ويمنح زواره فرصة للاستجمام والتجدد، وهو يقع على بعد خطوات من المعالم السياحية الكثيرة للمدينة كمثل: Silver Fern Gallery, رحلات سفاري نهر دارت, متجر كوكي تايم. إن الخدمات التي يقدمها Caples Court تضمن للنزلاء إقامة مريحة. يمكن لضيوف الفندق الاستمتاع بالميزات التالية على أرض الفندق: واي فاي مجاني في جميع الغرف, خدمة التنظيف يوميًا, مرافق مخصصة لذوي الاحتياجات الخاصة, تسجيل وصول/خروج سريع, تخزين الأمتعة . استمتع بوسائل الراحة الراقية في الغرف أثناء إقامتك هنا. بعض الغرف تتضمن تلفزيون بشاشة مسطحة, بياضات, اتصال لاسلكي بالإنترنت, غرف لغير المدخنين, مكيف هواء لمساعدتك على استعادة طاقتك بعد يوم طويل. إن حديقة هو المكان الأمثل في الفندق للاسترخاء وتفريغ طاقتك بعد نهار طويل. إن كنت تتطلع إلى إقامة مريحة وهادئة في كوينز تاون، فستجد في Caples Court بيتك الثاني. العمر الأدنى للضيوف حتى يتمكنوا من تسجيل الدخول هو 23 سنوات في حال لم يكونوا برفقة أشخاص بالغين. مكتب الاستقبال مفتوح من الساعة 08:00 صباحًا إلى 08:00 مساءً. يجب على النزلاء الذين سيصلون في وقتٍ آخر غير الأوقات المذكورة أن يتصلوا بالعقار مباشرةً قبيل وصولهم؛ وذلك حتى يمكن إجراء ترتيبات أخرى. الحد الأقصى لوزن سرير الطفل هو 18 كجم. It is quite near from the city centre so that after we enjoyed ourselves at the city centre we walked back. It commands a fine view, which includes the mountains and the lake. The airport can be reachable by bus which you can get on near this hotel. The facilities are excellent, which includes cookers and kitchenette. Very helpful owners, right in the city(5 minutes walk), very comfortable rooms. Kay and Robin King, you couldn't wish for better proprietors,they were friendly helpful and understanding. We took their recommendations on many occasions and did our tour bookings through them. Everything worked out extremely well. From our room we could see the Skyline Gondola going up and down the mountain next to Queenstown and the ferries on the lake. Our room was wonderful, seperate area with kitchen, table, chairs, frig, balcony, large bathroom. Great location, could cut thru park to lake, mall area just 4 blocks, grocery store just down street maybe 3 blocks. 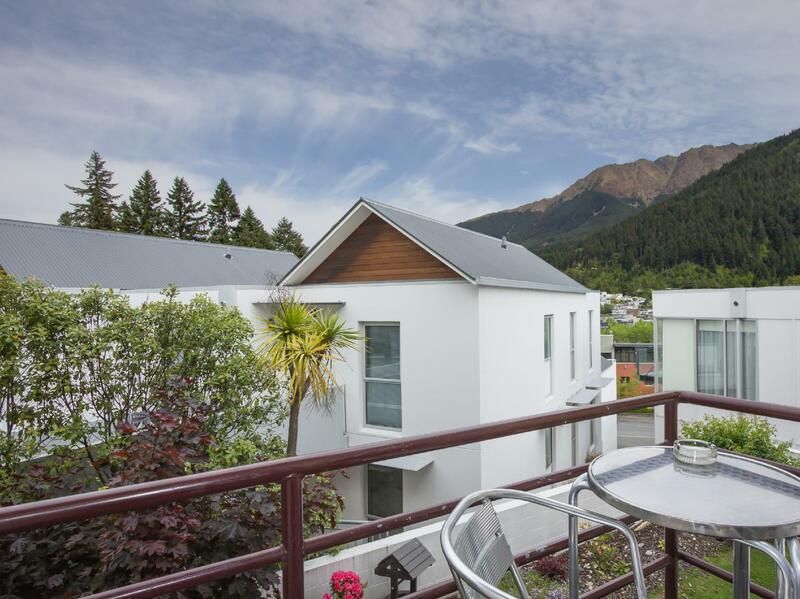 5 minute walk to Queenstown central. Walk home has a steep hill but that's good to walk off tea!. We had the very bottom unit. Had cooking facilities and a private little garden to sit outside and have a drink. Owners were very friendly and helpful. Great place to stay. Would be better to pay more for room with view. The studio without view is the one & only room in the basement next to the laundry room, storage area & parking area. Could hear noise of water dripping & some engine noise at night which affect sleep quality. Pretty good for Queenstown. Anywhere else and value wouldn't be very good. But, staff great, location excellent, and room comfortable enough. Could use an update, but overall very good. Would stay again. Have been through queenstown a few times now and this place was perfect. 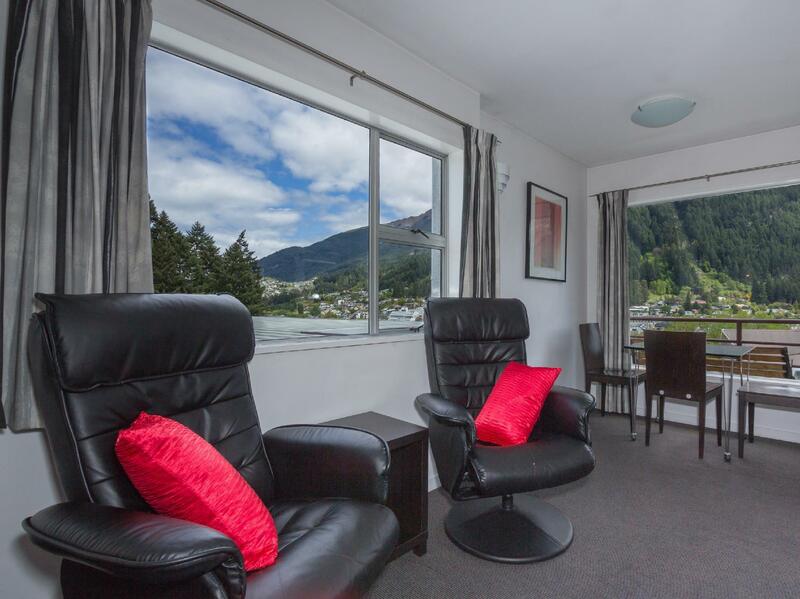 Location, fantastic friendly service and all round good value for your queenstown vacation with a great view over the town/lake. Stayed in Caples Court for 3 days and 2 nights. We stayed at room number 8 and we absolutely enjoyed our stay there. The room was clean and in a very good condition. The staffs were professional and friendly. The location was excellent, within walking distance to most of the cool places in town. Will definitely come back to stay here whenever we will be visiting Queenstown again. Very good location, short walk into the centre of town. Staff were very helpful on check-in telling us where the supermarket was and suggestions on good places to eat and things to do. We would stay here again if we go back to Queenstown. 1 bedroom apartment with private balcony was just fantastic. The views of the lake and surrounding mountains made us just want to sit back and relax. Only complaint was the couch needed to be replaced but Robin said he already ordered a new one. Rooms were really clean and Robin and Kay were excellent hosts. Rooms also have offstreet 'basement' parking albeit slightly cramped. Will book again without hesitation. We really enjoyed our stay at Caples Court. It was less than 5minutes walk to the town centre and the owners were really lovely and welcoming. We felt secure there and would definitely stay there again. 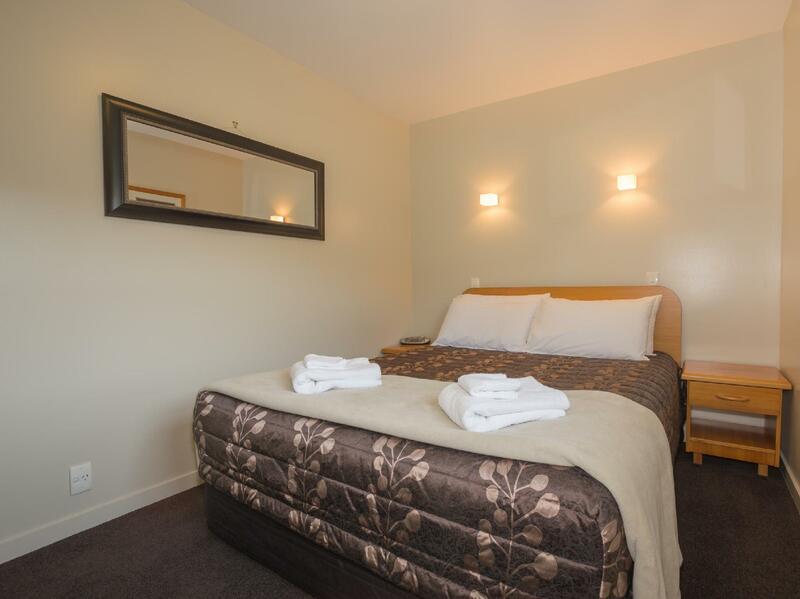 It was a fantastic stay within walking distance to queenstown mall. There are many attractions such as the gondola and luge all with walking distance. We even had our own little private garden as we had room no 10. Very friendly helpful owner operated. Very convenient location with view of town which looked especially spectacular at night. Older style units but well maintained, comfy beds and well stocked kitchen. Serviced everyday which was nice while being away from home for 5 days. Would recommend. We had a thoroughly enjoyable 3 night stay in Caples Court in beautiful Queenstown. Right from the start the staff were helpful and knowledgeable, answering all our queries as this was our first visit to Queenstown. The room was spacious, with separate bathroom, bedroom and living area. I was particularly impressed by the little touches such as the filter coffee and cafetiere in the room, much nicer than coffee granules. The location was good; just a short 4-5 minute walk down Stanley Street into the town centre. Likewise, the hotel is only a 10 minute drive from the Airport. Most rooms seemed to have a view overlooking Lake Wakatipu. Ours did not but we were compensated by a nice view of the garden. We would highly recommend Caples Court and would stay here again when we (hopefully) return to Queenstown in the future. The hotel was easily located along the main street in Queenstown. Was met by the owner Robin who helped us moved our luggages to the upper floors (Room 7). The room was very attractively decorated with modern furnitures and many windows which allows plenty of sunlight in. The kitchen is also well equiped and tidy. Robin was very friendly and helpful and we wished we could have stayed longer. Bright window, cleanness, great location. We enjoyed staying at Caples Court. It's conveniently located in a walking distance to downtown with convenient parking. The apartment is very clean and nicely decorated. The unit we stayed was right across from the Gondola, very nice view! Would highly recommend it to friends.